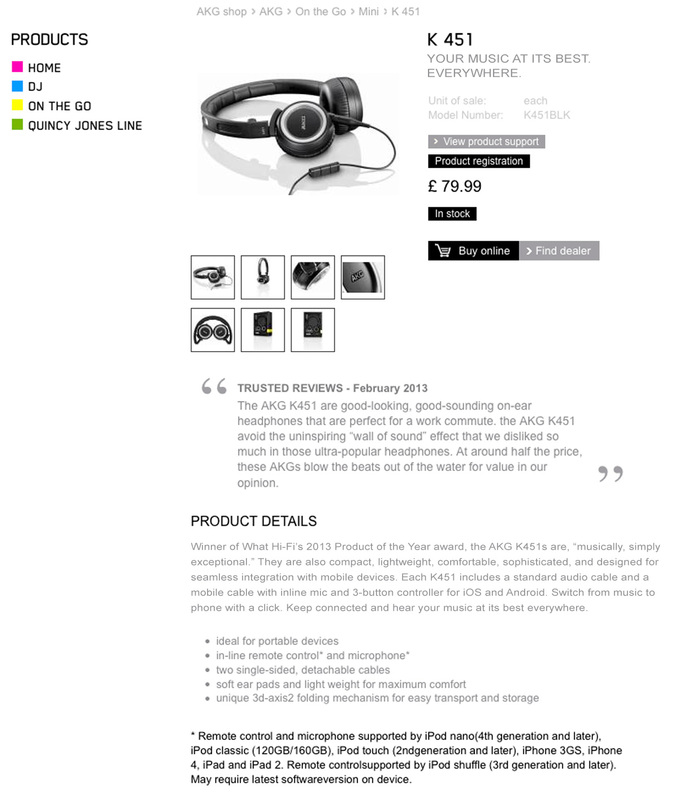 I was lead copywriter for AKG, through Stirred Creative, for six years. This is Harman International’s high-end consumer and pro-audio brand. Your music at its best. Everywhere. Winner of What Hi-Fi’s 2013 Product of the Year award, the AKG K451s are, “musically, simply exceptional.” They are also compact, lightweight, comfortable, sophisticated, and designed for seamless integration with mobile devices. Each K451 includes a standard audio cable and a mobile cable with inline mic and 3-button controller for iOS and Android. Switch from music to phone with a click. Keep connected and hear your music at its best everywhere.